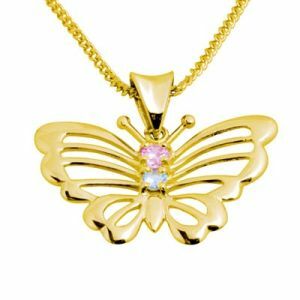 Solid 9ct yellow gold pink cubic zirconia and created aquamarine butterfly drop pendant. 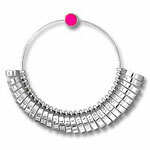 Gemstone: 1 x Cubic zirconia CZ pink round 3mm. Gemstone: 1 x Aquamarine created blue round 2.5mm. Material: 2 x grams solid 9ct yellow gold.